Think what kind of melange to buy? We will help you choose a melange for your needs. 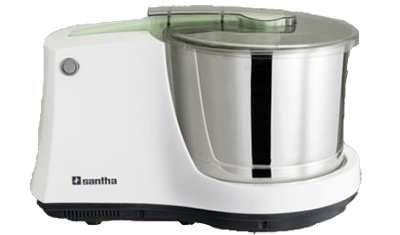 We bring to your attention a comparison of the most popular models of melangeurs: RawMiD Dream Classic, Premier Lifestyle 2017, Premier Wonder Wet Grinder and Santha Stylo. Buy a melanger - a responsible step, because the device is not so small money. Therefore, if you intend to choose a melange, then you should approach this matter carefully. What do we see from the comparison table of melangeurs? The presented models of urbech makers differ in such parameters as: power and type of the motor winding, the width of the millstones, the time of continuous operation, the volume of the bowl. Similar data model melange according to the materials of the shell, bowl and millstones, the mass and dimensions, the maximum weight of the product to be poured. Especially striking is the difference in configuration and price. Let's understand what is better to buy a melange and for what purposes. The cheapest model from the review of Urbekch makers is Premier Wonder Wet Grinder. It has the smallest bowl volume (1.5 liters, while the competitors have 2 liters) and, accordingly, the smallest capacity compared to other survey participants. The advantage of this model is its compactness. 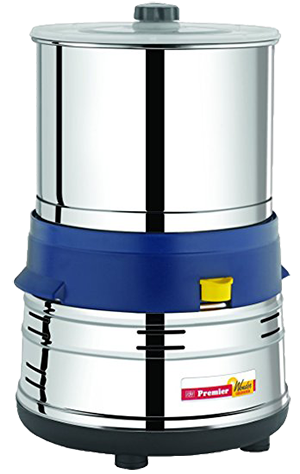 However, in Russia you can buy a Premier Wonder Wet Grinder only without warranty, without service and without any certificates, that is, at your own peril and risk. Is this a saving of several thousand rubles? You decide. Melange Premier Lifestyle 2017 is almost twice as expensive and differs slightly more powerful motor and greater capacity of the bowl than the Premier Wonder Wet Grinder. Another difference between this model and the maker is the inclined bowl. Plus, that you can pour the finished product from the bowl by tilting it. The downside is that there are technical problems with the pivoting mechanism and it has to be corrected, fixed, monitored so that it does not loosen and the bowl does not roll over. Perhaps, the Premier Lifestyle 2017 Chocolate Refiner is suitable for fans of the vertical form factor, but this implies a greater heating of the bowl located directly above the motor (and it can be heated above 100 ° C during operation). A significant disadvantage of this model is the fact that there are no shops in Russia where you can buy Premier Lifestyle 2017 with an official guarantee, certificate and service in Russia. Therefore, if you decide to buy Premier Lifestyle 2017, then be sure to ask the seller for a certificate of melange, and also make sure that the guarantee is given not in words but on an official document! For example, buy melangeur Premier Lifestyle 2017 Chocolate Refiner with garnet you can in the online store madeindream.com. Melange for chocolate and nuts RawMiD Dream Classic MDC-01 differs from competitors in a more perfect motor with a fully copper winding (which increases its efficiency). 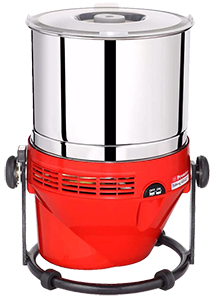 Its millstones are somewhat wider than those of Premier's: the difference is 3 cm, which makes Dream Classic more productive (the products are faster grinded), as well as the fact that less raw materials remain "out of work", getting stuck between the millstones and the walls of the bowl. The device has high-quality materials - granite millstones, a bowl of food stainless steel. 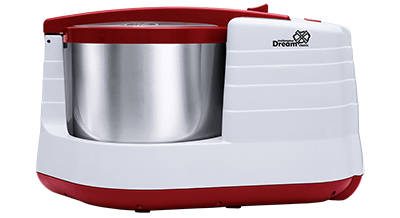 In addition, the RawMiD Dream Classic is distinguished from competitors by a wider range of equipment, which allows you to get coconut shavings and knead the dough. Dream Classic, perhaps, is optimal for the Russian consumer, as it comes with an illustrated instruction in Russian, an official manufacturer's warranty of 1 year and warranty service on the territory of the Russian Federation. Melanger has an international certificate of compliance with European quality and safety standards. At the same time, having high quality, the device has a moderate cost (15 thousand rubles cheaper than the Premier Lifestyle 2017). This is due to the fact that the device is purchased directly from the factory, but Premier's melangeers, sold in Russia, are purchased from intermediaries, which is why a double noticeable mark-up is created on them. Recommended to read detailed comparison of melangeurs Premier Lifestyle 2017 Chocolate Refiner and RawMiD Dream Classic MDC-01. The most expensive model from the comparison participants - the melange Santha Stylo - is characterized by a lower engine power and, as a result, the possibility of a longer continuous operation. 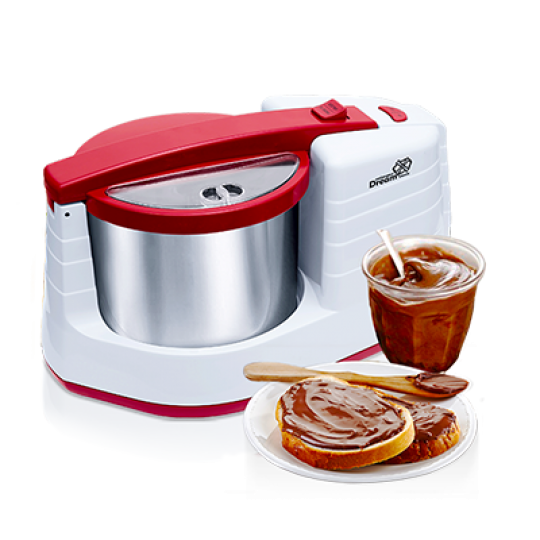 Such a device is suitable only for fans of chocolate cookery, who love to put experiments. After all, in practice, it takes 2-6 hours to make chocolate, and Santha Stylo can operate 36 hours without stopping. True, such an indicator is achieved to the detriment of the engine's power - it is 2 times less powerful than that of competitors, which casts doubt on the possibility of grinding on it the hardest nuts, seeds and seeds, such as chia or flax. Nothing else stands out against the background of other melangeers, except at a price. High cost is explained by the brand and positioning of the device as the most suitable for making chocolate (although it was found out that chocolate can be cooked on any of the devices presented in comparison). Is it worth overpaying for the brand? Decide again for you. The result. We reviewed the most popular modern models of melangeers for chocolate and urbech makers: Premier Wonder Wet Grinder, Premier Lifestyle 2017 Chocolate Refiner, RawMiD Dream Classic MDC-01, Santha Stylo. What kind of melange to buy you - decide, based on the goals and objectives that you are going to put before the device, its cost and functionality.